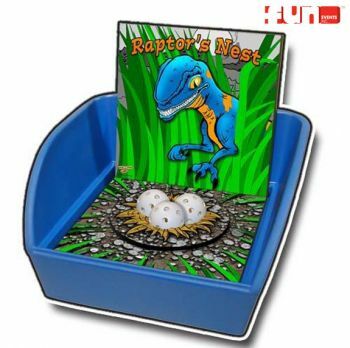 Raptors Nest carnival game rental Better hurry, she's coming! Toss the balls into the raptor's nest and win. Carnival Midway Games are a great way to enhance your special event, birthday party, church festival, school carnival or fund raiser.